According to the National Interagency Fire Center, over 4.1 million acres are affected by wildfire each year in the United States. While the term “wildfire” can conjure up images of blazes racing through forests, the facts show that many of these acres are burning near residential areas, with over 10,000 homes being lost in extreme fire years. Recently, we’ve watched images of entire neighborhoods lost to fire in Colorado, leaving individuals of all ages fleeing for safety. Although fire is a frightening idea for residents of all ages, wildfires can pose an especially high risk for seniors living independently at home. If your homecare agency provides service in fire-prone areas, being prepared to assist clients during a wildfire emergency can help your clients avoid catastrophe. Here are a few tips to help gear up your homecare agency for fire preparedness. When a wildfire hits your area, you may find an influx of caregivers needed for emergency shifts to help seniors prepare for evacuation. Prior to an emergency, talk to your caregivers about their ability to work unscheduled shifts in case of emergency, and gauge their comfort level in working during emergency situations like wildfire. 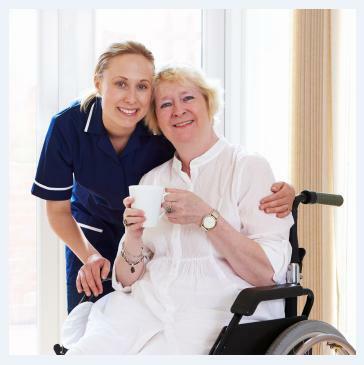 Make notes of availability in your home care software or home care system and take advantage of home care software features from robust home care systems, like ClearCare, to send text messages or emails to caregivers when an emergency situation arises. Unlike a storm, when and where fires will break out is completely unpredictable. Thus, it is ideal if your clients are prepared for a fire before it happens. As part of your services, consider offering clients living in high-risk areas for fire the ability to have caregivers help put together an emergency preparedness kit. Such a kit should minimally include water, food and snacks (meal replacement drinks are a great shelf-stable option for seniors), a list of all medications, a change of clothing, and a contact list for medical providers and family members. Caregivers can help remind seniors to keep medications in one central location, easy to grab in case of a need for rushed evacuation. A homecare software or homecare system, like ClearCare, can also be an invaluable tool for evacuated seniors, providing access to electronically-stored medication and emergency contact data that can be accessed by home care administrators from the cloud – meaning that even if your office is evacuated, home care managers can access client information securely from any web-enabled device. After living 70, 80, 90 or more years, seniors can be set in their ways and dare we say, even stubborn. Often this will translate into a lack of willingness to leave their homes in the event of a mandatory evacuation. Helping family caregivers prepare their senior loved ones for a potential evacuation ahead of time may help in the unfortunate case of impending danger. Consider sending an email to your clients’ family contacts via your homecare software or homecare system at the beginning of fire season, reminding them that in cooperation with the assistance of your caregivers, you can help make sure that when a fire breaks out in your area, seniors are both mentally and physically prepared to evacuate. Wildfire is a frightening topic, however, home care agencies with tools such as a robust homecare software or homecare system, you can help clients be prepared for natural disaster. Next week, we’ll discuss providing care when fire strikes in part 2 of our Wildfire Preparedness Series.